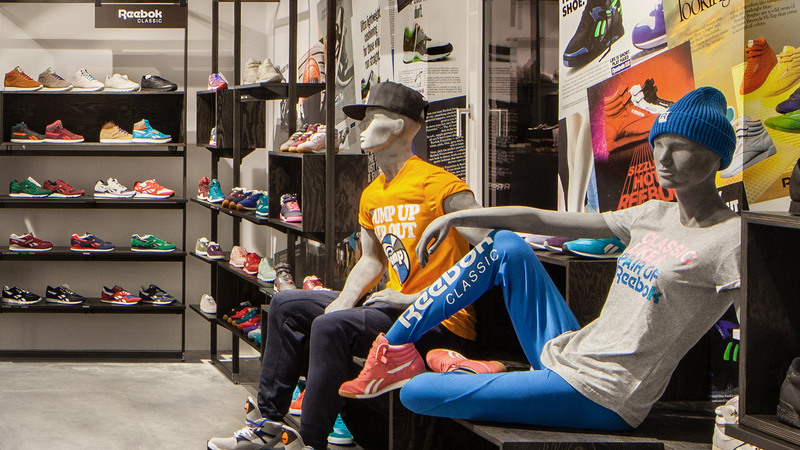 Two top brands located in one room: The newly inaugurated order centre O1 in Mainhausen is home to the two top brands adidas and Reebok. Both, the conception and implementation of the design of the two brand spaces were performed by Dart. The showrooms of the manufacturer of sports goods are open to traders from the shoe and sports industry as order centres. 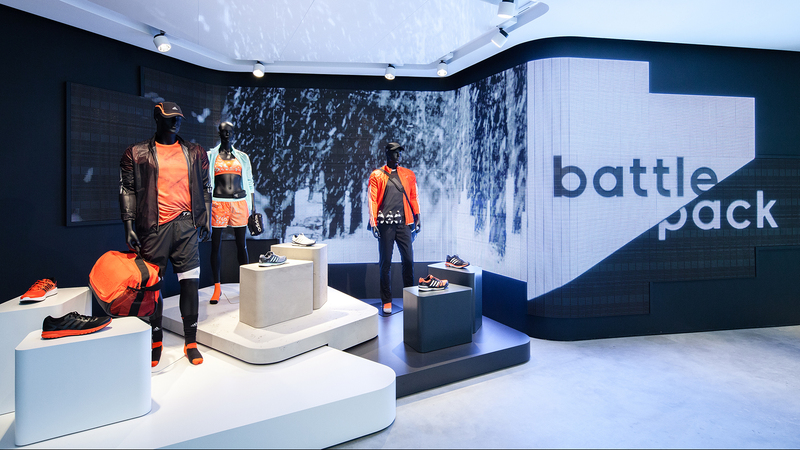 They present the two sports brands’ collections for the new seasons on an area of 1,000 sqm. 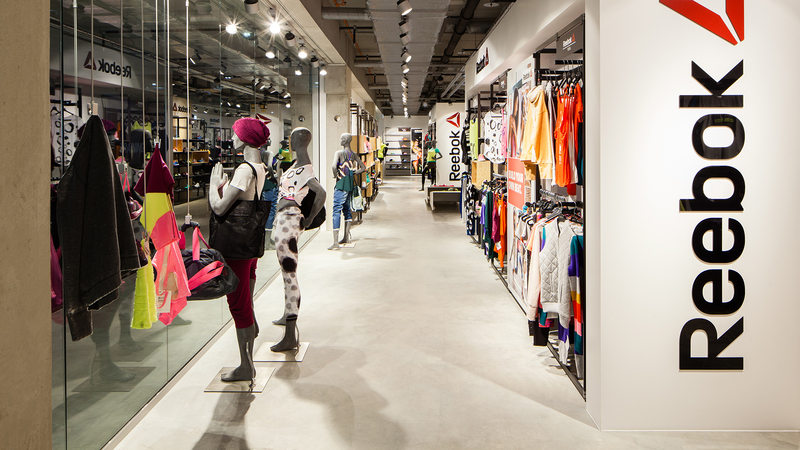 The new showroom presents both sports brands in one exhibition area. Visitors enter the two individually arranged brand spaces through one entrance. 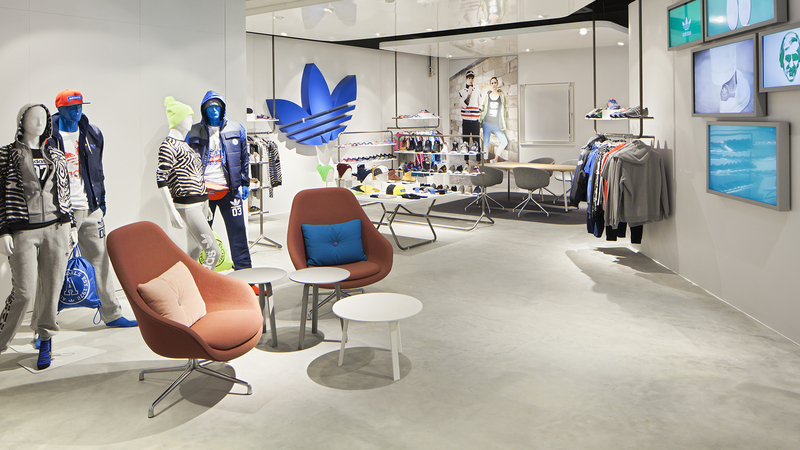 With more than 800 square metres, the goods and brand presentation of adidas occupies the larger part of the exhibition area. It starts with a large dynamic LED media wall. 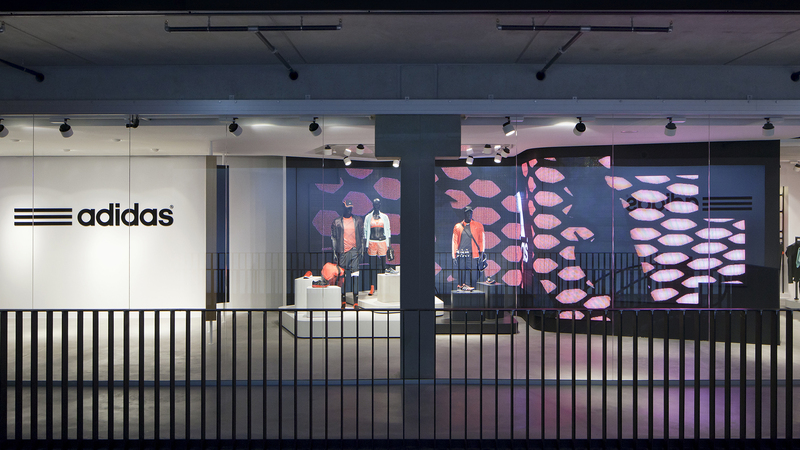 It emotionalises the entrance area and leads visitors into the adidas exhibition area. Here, the space concept opts for a division of the presentation of goods: the topic and product areas are spatially structured by means of an arrangement in black and white. An organically shaped wall module that creates an own spatial unit for every topic area is the basis for this division. In contrast, Reebok’s brand space with a size of 256 square metres defines itself through its content that is related to the world of fitness. 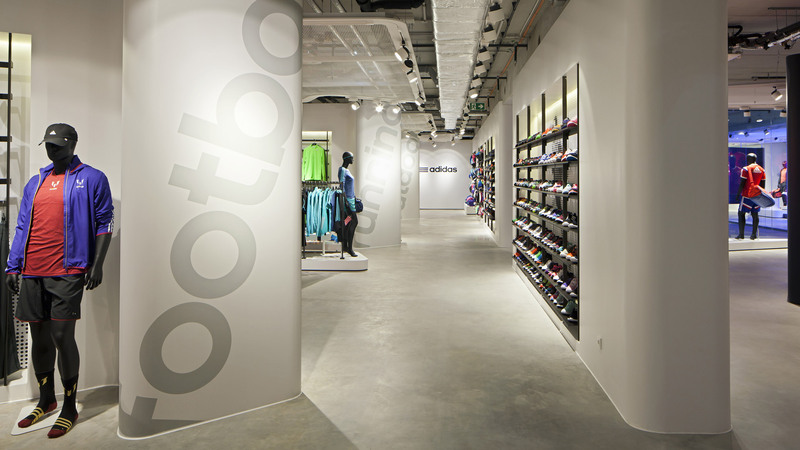 The shop system made of black steel combined with box elements made from roughly structured wood shape the Reebok showroom. White wall elements structure the space and simultaneously arrange the different product areas.